After buying the template you'll recieve a zip/rar archive with the full template. Unzip (Unrar) this file . 1. First see if your have a "Fonts" folder or font files. If you do, this means that the template uses some particular fonts which you need to install . Copy the fonts files into your "c:\windows\fonts\" folder. ( CTRL + L or Window -> Library). 3. Here you will find the symbols used in the template: graphic symbols, movie clips, sounds and texts. To customize you just have to edit the symbol you want and change its content with your personal. To change a text edit the symbol containing this text and put there your text. Getting started with a flash template ? How to make flash header links link to html pages ? How to create a mail link in flash ? How to insert background music in flash ? 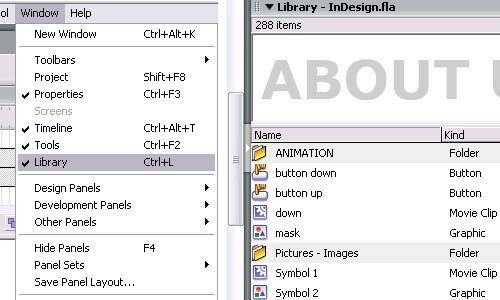 How to create additional buttons in flash ? 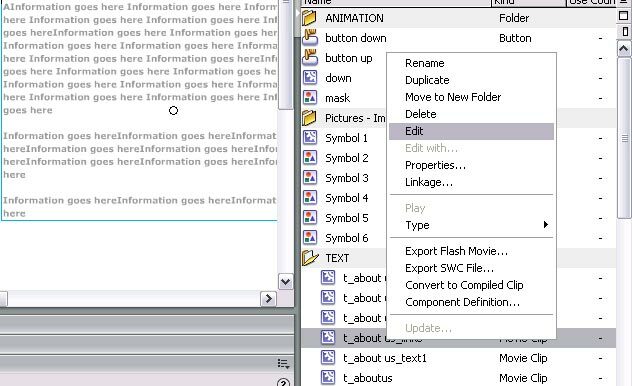 How to create a new link in flash ? How to create a scrollbar in flash ? Flash/php contact form installation ? How to replace images in flash ? How to change the text in a flash ? How to insert a sound effect in flash ? How to insert text in a flash movie ? How to exchange images in flash ? How to insert a new image in flash ? How to add a new page to a existing flash site ?